Q&A with director, Peter Miller, after screening. During the darkest days of WWII, Academy Award-winning screenwriter Robert Riskin headed up a secret film unit that sought to redefine America in the eyes of the world.Shown to millions of people around the world, the twenty-six Projections of America films told stories of cowboys and oilmen, farmers and window washers, immigrants and school children, capturing the optimism and messiness of American democracy. They were idealized versions of what America could be, created by politically engaged filmmakers who, while fighting tyranny abroad, wanted also to fundamentally change America itself. Seventy years later, the films have been forgotten; hidden away in government archives. 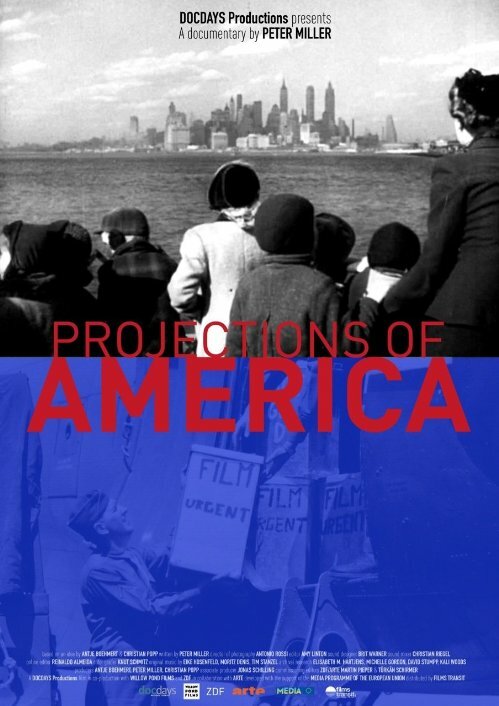 Narrated by John Lithgow, Projections of America tells the story of Riskin and his team, and the risks they took to project a profoundly democratic vision of the nation that would soon emerge as the most powerful on earth.